And that was part of the very problem we were in Guatemala to unpack. 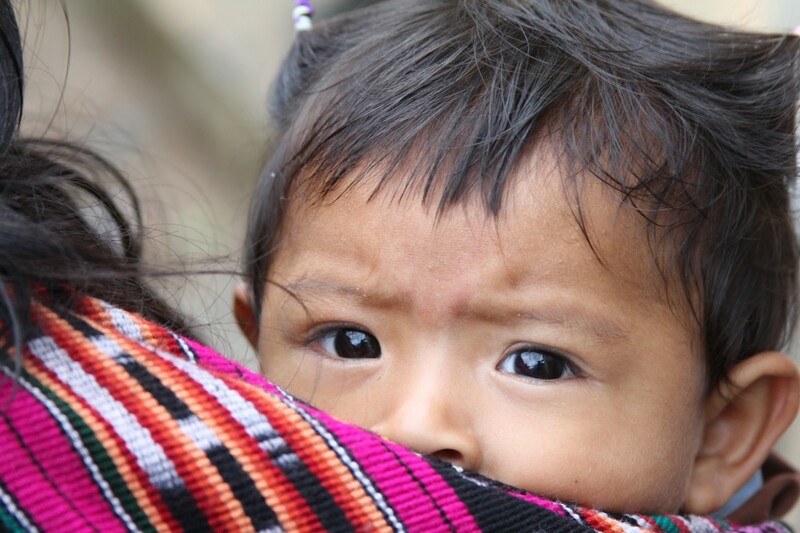 Half the children in Guatemala are malnourished — as many as three-fourths in the rural areas. And long-term studies have shown that malnutrition at an early age can cause “stunting” in physical and intellectual development. In the last few years, the government, industry and NGOs have joined forces to raise awareness of the problem throughout the country. But are those at the last mile — the Maria Pilars and those like her — going to change their behaviors to help beat this problem? And what is being done to help them? The agricultural paradox is evident as soon as you start driving away from Guatemala City and into the hills. 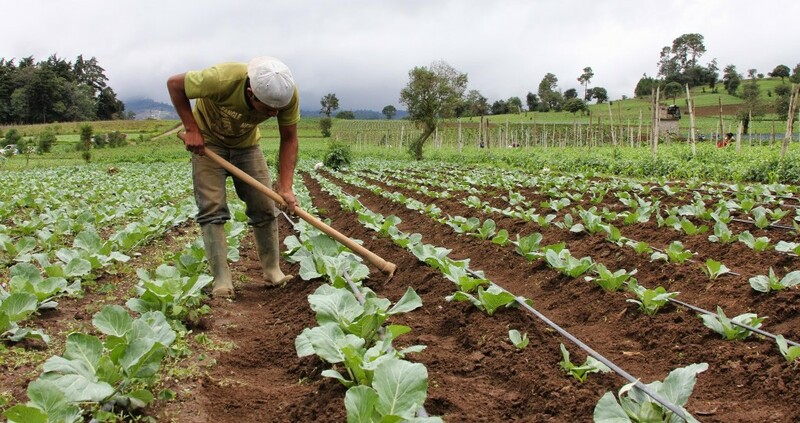 Thanks to volcanic activity, the soil is rich in minerals — and therefore productive for growing fruits, vegetables, sugar cane and other crops. Most of the food tilled from the flat valleys near the PanAmerican highway is quickly exported away to places like the U.S. Photo by Hari Sreenivasan. Much of the cabbage, lettuce and broccoli that surrounded us on our way to the Quiche region would be sold to giant trucks that rumble along the main road. From there, the vegetable and fruits make their way to grocery store shelves, often somewhere in the United States or elsewhere in the developed world. For farm workers like Pilar, the fruits of their labors, though within arm’s reach, are beyond the reach of their wallets. What if every politician, political appointee and influential executive at a Forbes 500 company in the United States was encouraged to spend the night in the circumstances of one of the least fortunate of their constituents or customers? Would that make a difference? There is also a cultural hurdle to overcome. 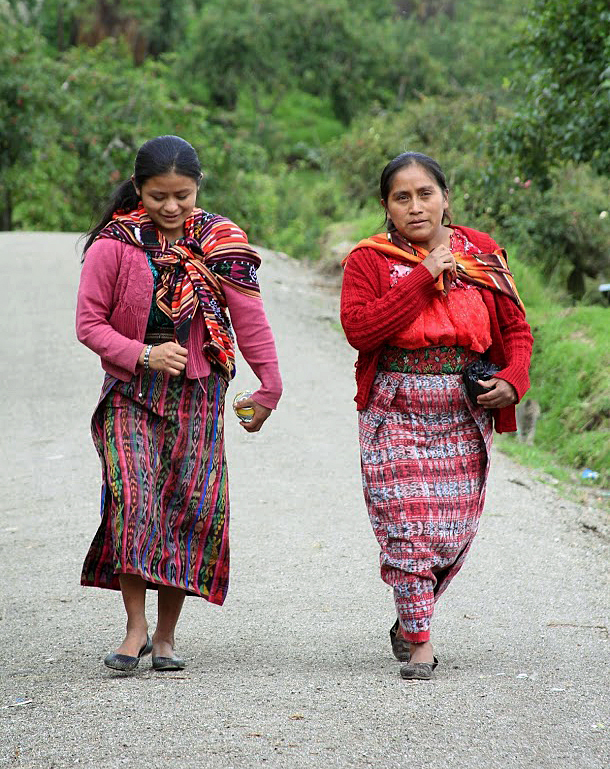 Mayan diets consist primarily of corn, beans and local herbs. Corn has near mythic status in the western highlands. There are children’s books and novels that feature the folklore that people’s flesh comes from corn. The myths, however, don’t take into consideration what we know about modern nutrition — for example, what a mother and child need in the first “1,000 days” from conception through their first two years of life. This concept of the “1,000 days” is the most recent subject of investigation by Roger Thurow. The long-time journalist for the Wall Street Journal — and more recently the Pulitzer Center for Crisis Reporting — has been focusing on the problem through the lens of families in Guatemala, Uganda, India and the United States. 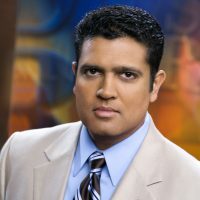 It’s why the PBS NewsHour asked him to be our guide for this project. Thurow is 6 feet 3 inches tall, a stark contrast to the Mayan people who populate most of the western highlands. The Mayans have traditionally been shorter. For a time, the thinking was that it was all about genetics, but it turns out nutrition plays a tremendous role. For more information, watch this PBS documentary on the subject of the Height Gap. 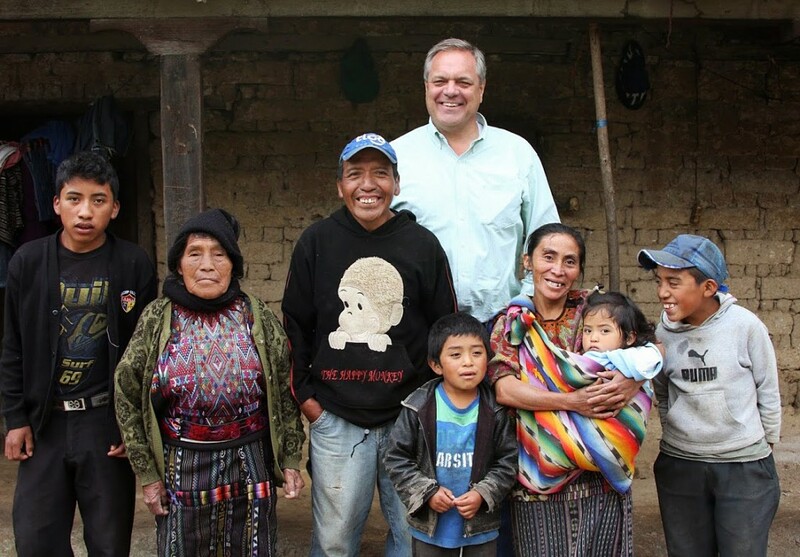 When Roger and I traveled, it was with the aid of the folks at the humanitarian nonprofit Save the Children in Guatemala. They’ve been working in the highlands on a range of behavior modification programs. And they’re doing it with an interesting mix of incentives. A nutrition program run by Save the Children begins with prenatal counseling, supplemental vitamins and healthy foods for breastfeeding moms. 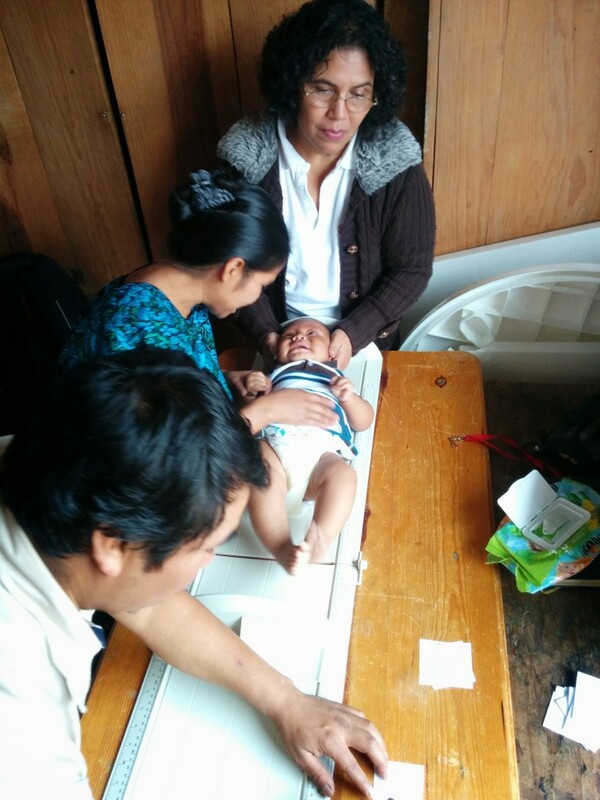 The moms bring their babies to a mobile clinic for a monthly weigh-in and length measurement every six months. If the babies are not meeting weight, the moms, and sometimes the dads too, are counseled on how to add nutrients to their family’s diet. Chronic malnutrition rates spike at six months, when many mothers stop breastfeeding and begin giving their children solid foods. 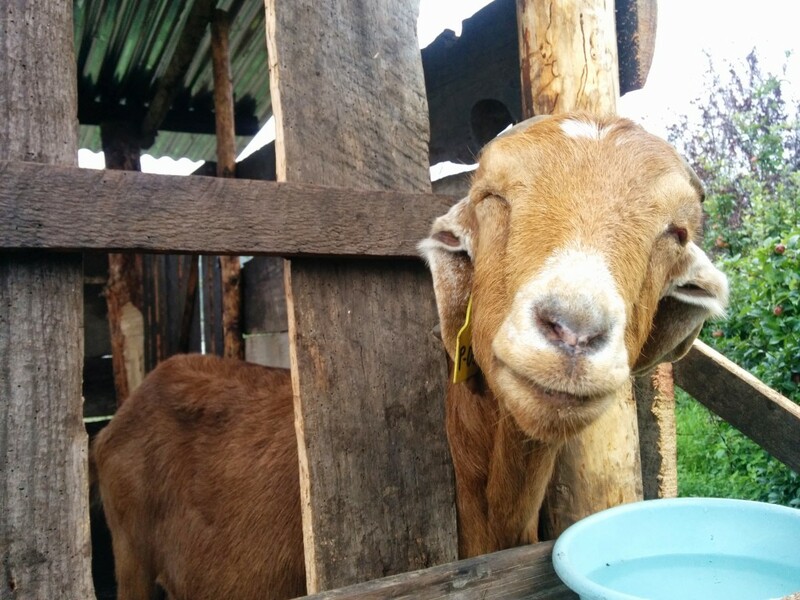 So with the help of Save the Children, they’re taught the value of adding protein and dairy to their diets by eating the eggs from chickens, and using the milk and cheese from goats. Classes are also offered to teach mothers to prepare more nutritious foods, including fruits and vegetables which can be grown locally. At the end of the visit to the Save the Children center, they are asked to make a small contribution to the “community committee on food security” and are handed a food supplement of rice, beans and oil provided by the local branch of USAID. The food is not enough to be a replacement for their regular diets, and — given the small contribution they’re asked to provide to help run the place — it’s also not entirely free. It is, however, a strong incentive to keep the women in the program. What’s also interesting is that the amounts apportioned to families are decided by the local community who are likely far more aware of who is needy and who is not. This last aspect is something that can create an opportunity for corruption when centralized government programs are unaware of the situation on the ground. The challenges are deep and systemic. Tackling what are known as WASH (short for Water, Sanitation and Hygiene) issues are as difficult here. 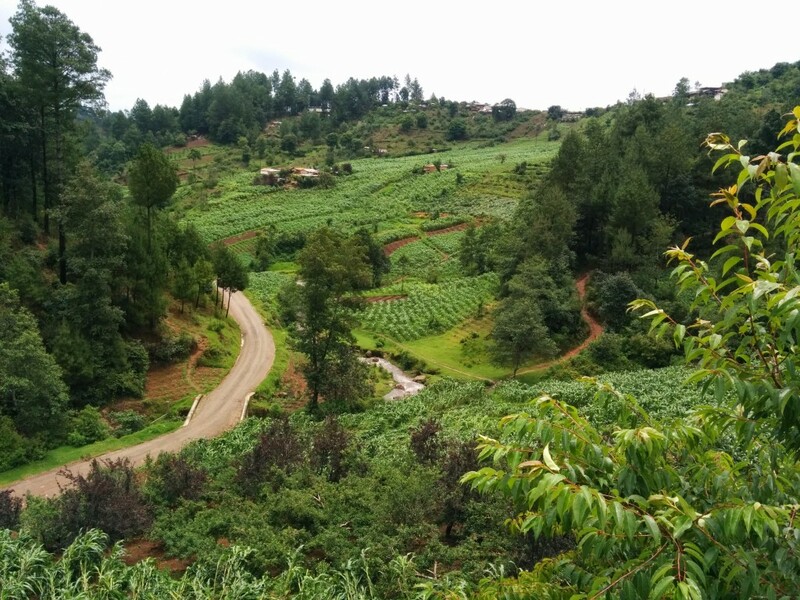 The parasite loads from unclean water are an enormous risk to children in these hills. A worm inside the child can siphon off all those nutrients and leave the child sick. 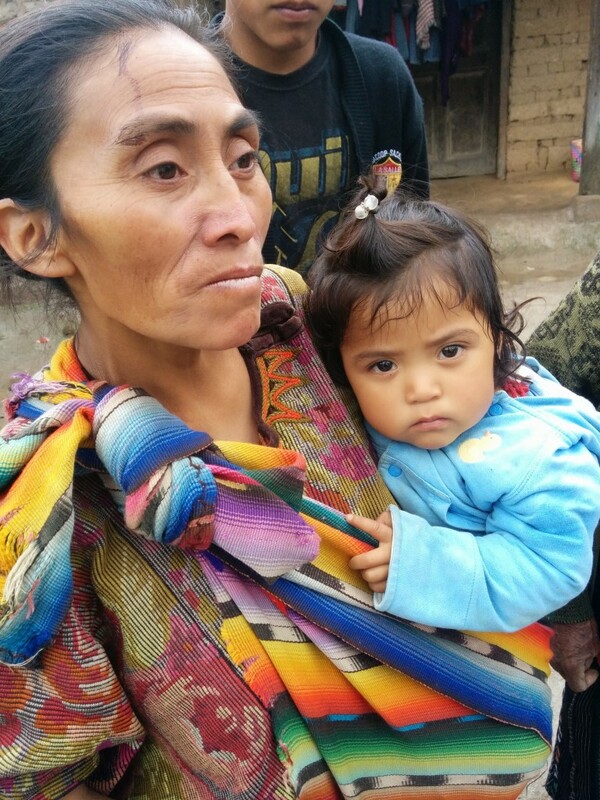 Maria Chumil’s daughter Lidia had diarrhea for a while, and during those months, she missed her weight goals. 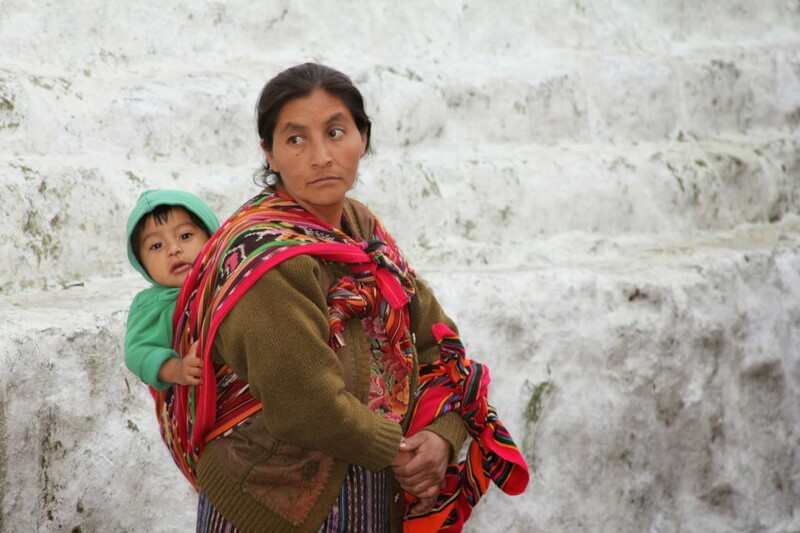 Besides the sanitation and water issues, living conditions often force indoor wood burning for cooking, which leaves women (mostly the ones responsible for the cooking) with babies strapped to their backs breathing unhealthy smoke. NGOs and the government are trying to tackle issues — ranging from livestock management to better crop storage to micro-drip irrigation — because all of these factors play a role in the family economy and how people spend their resources on food or elsewhere. 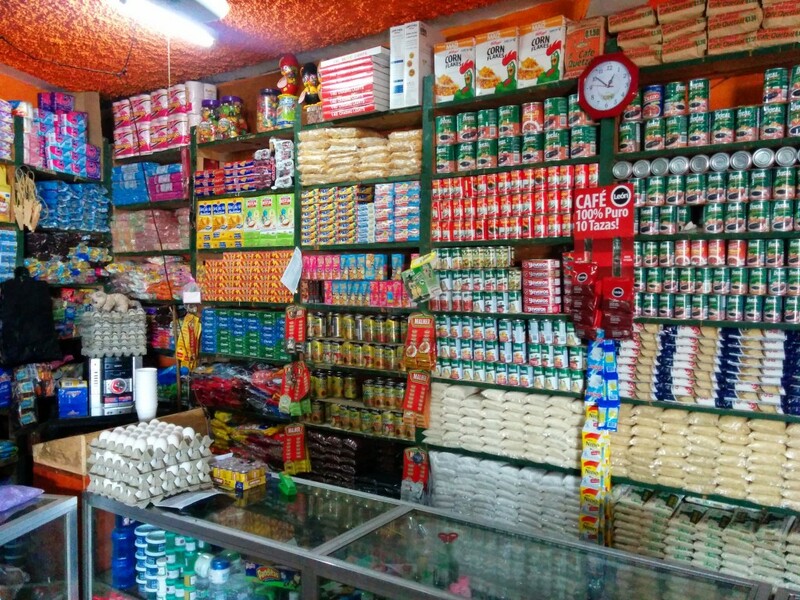 From dried goods, to school supplies to shoes and clothes, the general stores are where commerical producs meet rural Guatemalans. Photo by Hari Sreenivasan. 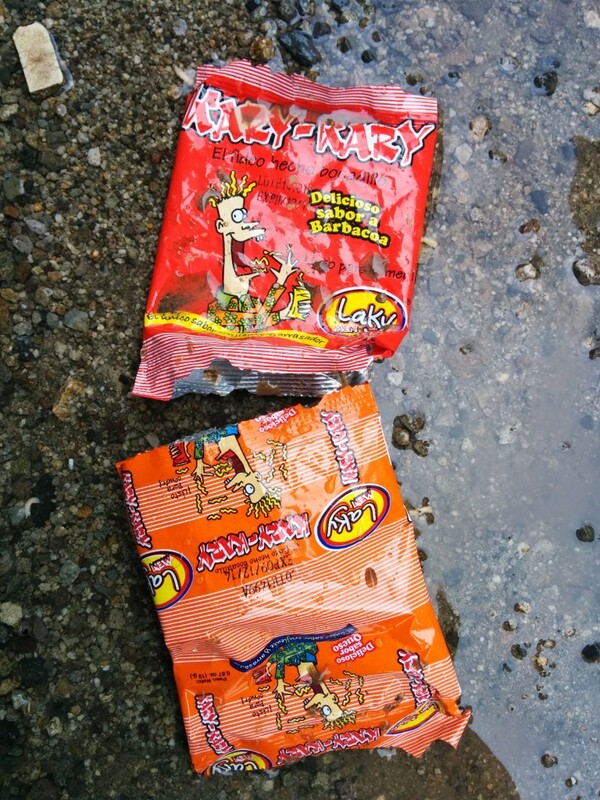 These little bags of litter however, can be found all along the highways and even in remote villages. 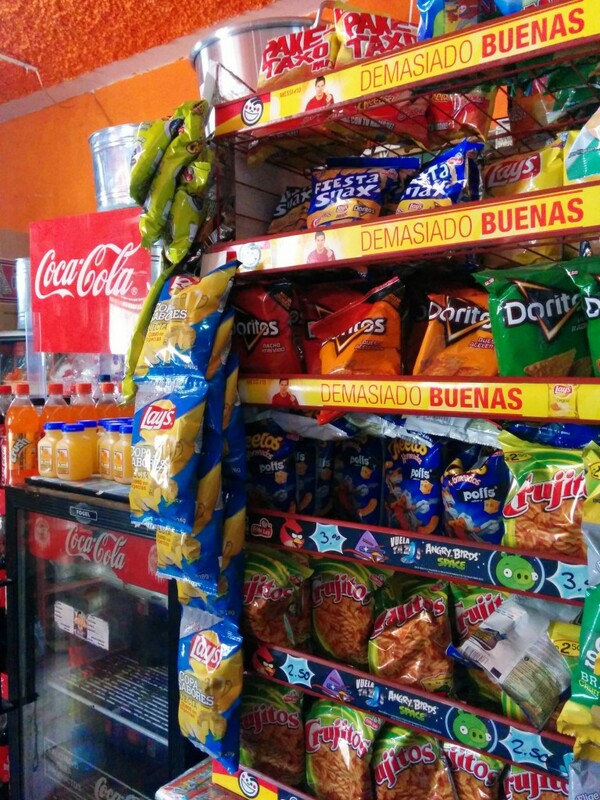 Unlike in the U.S., food manufacturers are not required to label nutrition information on their wrappers. But consumers are lured by the very low prices. 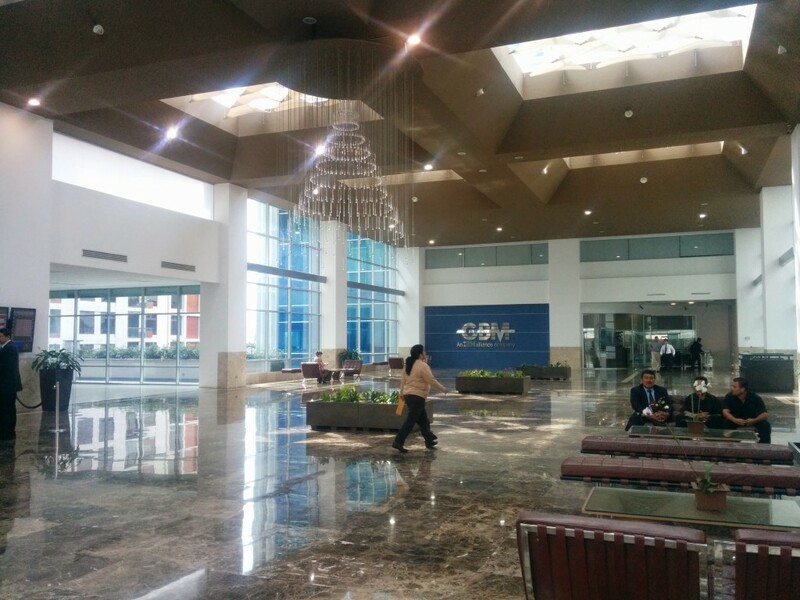 In Guatemala City, there are quite a few pockets of affluence. There are gated communities and fancy lobbies with expensive chandeliers, and beautiful restaurants with fantastic food. I wasn’t shocked by the poverty or the inequality of wealth — of seeing people tending to livestock behind their huts one day and then interviewing captains of industry the next. Being born in, and traveling frequently to India has made that adjustment fairly easy. But business leaders and government officials spoke of an interesting experiment. A couple years ago, thousands of people with influence spent the night in a rural and impoverished home. One of the business leaders we spoke with mentioned that every member of the president’s cabinet was anxious to share their stories when they came back that Monday morning. Thought experiment: What if every politician, political appointee and influential executive at a Forbes 500 company in the United States was encouraged to spend the night in the circumstances of one of the least fortunate of their constituents or customers? Would that make a difference? When I think back to that look Maria Pilar gave me — the fact is that I am from another world compared to hers. My diet has been culturally based on a vegetarian South Indian diet from a young age, which includes far more vegetable and herbs than what her baby Blanca is likely consuming. I’ve known access to clean water and indoor plumbing for almost my entire life. It may explain why I’m a foot taller than Pilar. Now I live in New York City — the most globalized city on the planet, where there is hardly a food that I can’t find, whether it’s been shipped, trucked or even flown to restaurants from every corner of the earth. I don’t work with my hands, bent over in a field with my son strapped to my back all day. I know I’m lucky. I know that wealth and poverty and inequality are complex problems to tackle. The question I’m left wondering is what becomes of a world where a significant portion of the population grows up without even the basic nutritional foundation to give them a shot at anything else. As the business leaders in our piece say, from an economic perspective, that kind of inequality will cripple the productivity potential of entire countries. But from a human perspective, it seems like it will cripple us all. 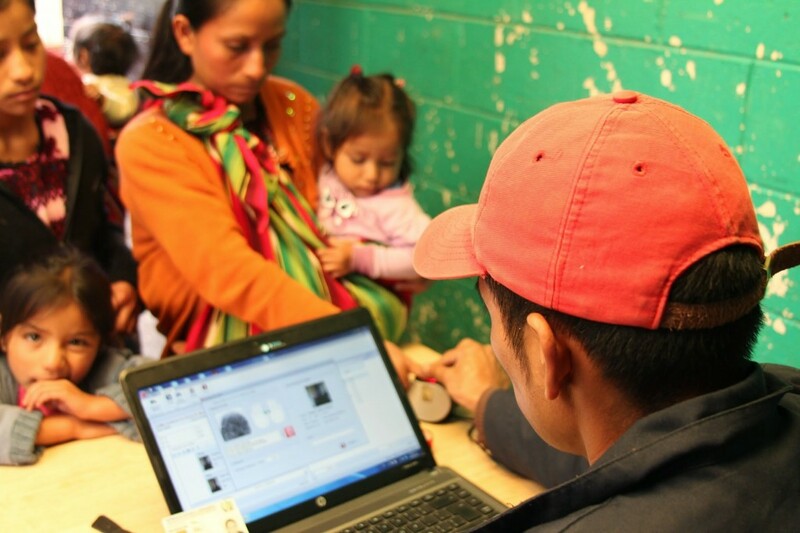 Watch Hari’s full report on malnutrition in Guatemala on Wednesday’s PBS NewsHour.